Last year, I embarrassed myself in public. Even worse, it took me a few weeks to realise what I had done. I am now on an evangelical mission to share my experience with others to prevent them from making the same mistake. Readers with commercial responsibility take heed. 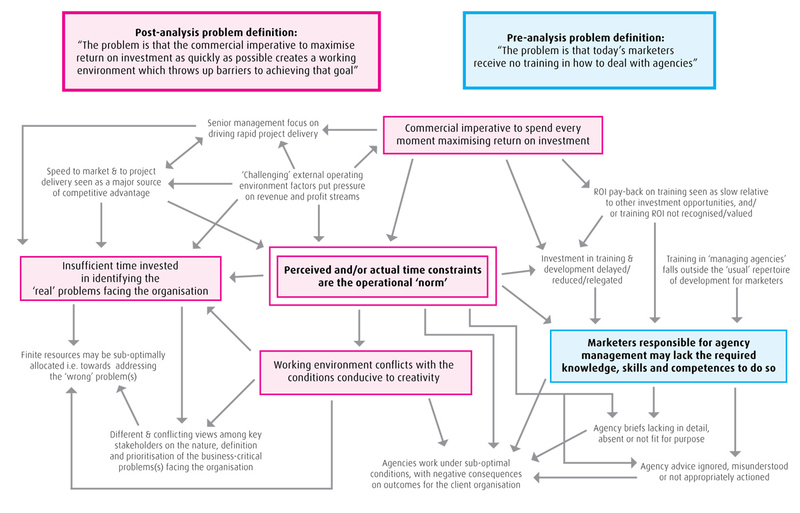 For anyone thinking 'I don't have time to read this', reflect on the fact that you have just illustrated a key point: that perceived (and actual) time constraints are the operational 'norm' for pharmaceutical marketers the world over (Figure 1, central factor). From Munich to Milan, from Barcelona to Brussels, our natural desire to 'get on and do something' often overrides the need first to make sure that we are working away at the right things, pulling at the commercially-relevant levers. Rushing to carry out the wrong activities may tick the boxes for taking quick, firm and decisive action, but it falls a long way short of maximising the return on investment from the available resources. My embarrassing moment occurred during a 2010 pharmaceutical marketing advertising awards event in London. Chatting with several agency contacts for whom I'd been the client over the years, I found myself delivering the ultimate faux pas as we lamented the 'good old days', when the client treated the agency as part of its extended family; when 'us' and 'them' thinking had no place; when the co-operative mind-set, coupled with mutual respect and shared understanding, enabled the productive pursuance of a common goal; when the agency felt free to say: "Actually, that's a very bad idea; don't do it", and the client felt free to accept and act on the advice without suffering any damage to personal or corporate egos. Today's relationships with marketers are, so I was told, somewhat different. At least, this was the conclusion on the UK situation, according to the people I spoke with that day. The sample size was small and admittedly included one or two who may have had high blood-alcohol levels. Making some allowances for that, it still struck me that the client behaviours being described seemed like the bizarre results of a 'reverse brainstorm'. A brainstorm where a group of marketers had got together and had great fun coming up with answers to "how could we really mess up the way we work with agencies?" and then forgotten to reverse the factors into positives to define best practice. Although no sane marketer would deliberately set out to sabotage his or her own projects, the ways not to work well with agencies are the behaviours often demonstrated in the real-world challenges of a marketer's daily life. At the awards event, the offending words I uttered were along the lines of "The problem is that today's marketers receive no training in how to deal with agencies". It all seemed so straightforward, so easy to fix. Train the marketers; job done. A no-brainer, in fact. No one noticed my blunder. I even went on to compound the error by testing the hypothesis with people I had just met. Within this small mixed sample of UK-based client and agency attendees there was consensus. Far from challenging me, my discussants warmed to the idea and we effectively egged each other on in what for me became a fairly frenzied froth of enthusiasm for the theme. Some time after the event, I realised that I had fallen straight into a huge mental trap: failing to explore and understand the problem. Superficially, both the problem and the solution seemed obvious. However, some very simple 'Why? Why? Why?' examination of the problem would have helped to reveal its underlying complexity. 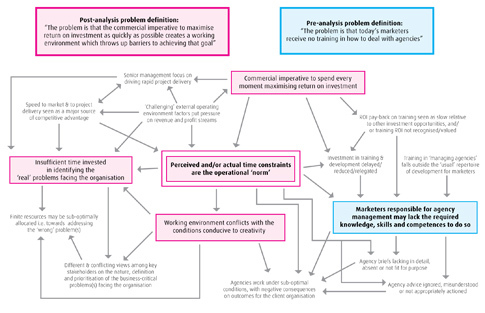 Asking 'Why do marketers act in this way?' and repeatedly challenging the answers with '…and why does that happen?' gives rise to some very different lines of thinking and possible conclusions (Figure 1). Working environment conflicts with the conditions conducive to creativity. Picking up on the fourth factor, the conditions conducive to creativity defined by creative theory certainly run contrary to the environment and demands of the typical pharmaceutical workplace. For example, adopting a relaxed frame of mind, being curious and asking naïve, child-like questions, challenging existing mind-sets, experimenting with different techniques, allowing time to nurture and develop ideas as they iterate in the subconscious mind, are not naturally fostered by the daily realities or working life in most organisations. Creating the time and space required to analyse a problem and employ creative techniques to generate possible solutions is challenging and requires leadership to make it happen. Empowering and encouraging such an environment is necessary to avoid any raised eyebrows among uninformed casual observers who may wrongly view such critical activities as fun, 'nice-to-do' distractions which are a long way from 'real work'. What factors feed into that problem? Which factors should be addressed? What are the SMART objectives for tackling those factors? The issue of sales being below target is obviously a multifactorial situation with underlying complexities to unravel. Or perhaps that is not so obvious. Interestingly, when sales are below target, there is a tendency to look for the single-action, easy fix. Influenced by the organisation's internal cultural and political perspectives, the 'obvious' easy fix varies according to the functional specialism of the person who suggests it. The immediate usual suspects are the campaign, the implementation by the sales team or local subsidiary, the 'obvious' omission of a 'killer' clinical fact which, when incorporated quickly into the communication messages, will suddenly make everything all right. 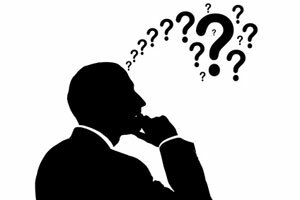 Two-dimensional thinking of this type blinds managers to the true nature of the situation and can lead to fundamental causes being missed. In the 'sales behind target' scenario, the real problem may rest in the distribution chain, in parallel trade dynamics or simply in inaccurate forecasting. The commercial challenges faced today tend to be complex in nature and difficult to define, with no obvious 'correct' solution. In a world where it is not always clear what the real problem is, a more solid basis for taking appropriate action is to explore the problem, reach a shared view and an agreed definition of the problem to be tackled, before attempting to identify solutions. This brings me right back to my embarrassment at the awards. My conversations with people concerning the nature of client-agency relationships simply observed the symptoms of a problem. Without further analysis, the symptoms themselves shed no light on the nature of the underlying problem. Hence the apparent 'solution' was fatally flawed. Learn from my experience and avoid falling into the trap. The next time a 'no-brainer' pops up, pause to probe the problem before taking the 'obvious' action. To comment on this article, please use the commenting feature below. Andy M Reeve is owner and director of AMR Consulting Limited, a company registered in England and Wales under Company Registration Number 07538014, with its registered office being Iveco House, Station Road, Watford, Hertfordshire, WD17 1TA, United Kingdom. Andy M Reeve has no current or prior connection of any kind with any other company with a similar name, including 'AMR International' whose web site link was added in error to the this article.